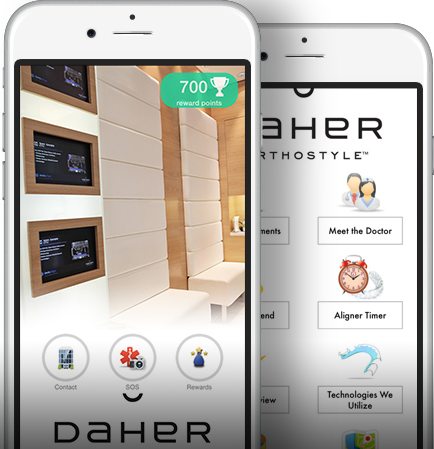 At Daher Orthodontics in Calgary, we want to ensure your orthodontic treatments are affordable for you and your family. Predict your treatment costs by signing up to try our cost calculator. A parent/guardian looking for treatment for my child. *By submitting your email address, you agree to receive this information from Daher Orthodontics. The cost of your Invisalign treatment is determined by several factors, such as the misalignment of your teeth or jaw, the shape of your bite, and the amount of movement needed to resolve the crowding or spacing in your smile. Such factors determine the length of your treatment and the number of aligners needed for your Invisalign treatment, which in turn, determines the cost. At Orthostyle, Dr. Daher doesn’t want cost to be a barrier to accessing the services of a specialist, so he offers flexible payment plans and interest-free financing to help treatment fees work into every budget. Sign up and use our FREE cost calculator to estimate payments for your treatment.